My second monthly haul post and I've already managed to be late! Well, not really, I'm aiming for end of the month or start of the new month, but I did want to post this two days ago. Technical difficulties botched my plans. I wanted to put up another Different Dimension polish today. You will get to see Different Dimension polishes here too, at least. So, let's see what I got! Because hair goods at Claire's are perpetually buy one, get one half price I looked around for something else. Most of the stuff I couldn't see me actually wearing, so I browsed through their "formal wear" jewelry. 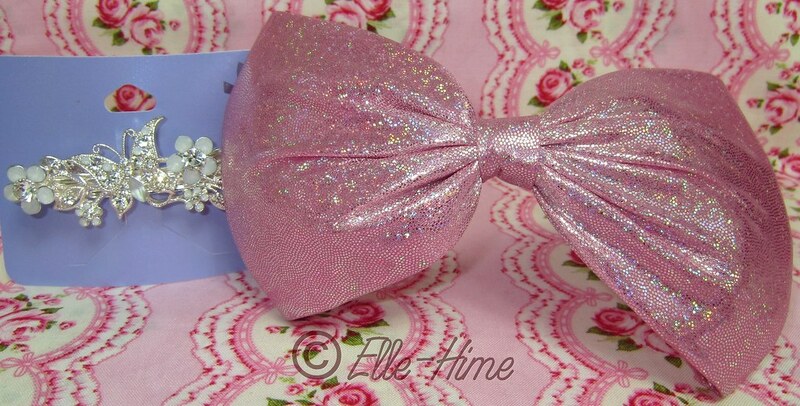 Almost grabbed a crystal headband but then spotted this butterfly barrette with clear and opal crystals. I love barrettes, butterflies, and opals, so it was a much better fit! Left to Right: Hard Candy Matte Top Coat, Nicole by OPI Let's Get Star-ted!, Finger Paints Hue Left A Message? and Purple Palette, "Gelous", Nfu-Oh 38 and 40. Stopped at Sally Beauty and fell for the pastel pink micro-glitter Hue Left A Message? ; grabbed fellow micro-glitter Purple Palette because it was B1G1 free! Snagged a bottle of Gelous as well, because it was on sale. I'm going to try it over rough glitters! I bought the Nfu-Oh polishes from FabulouStreet, marked down from their regular price and with a coupon code on top! So now I have flakies 38-40. My flakie layering needs are met! Zoya had a half price polish sale on up to 8 bottles, so I picked out 4 and my Mom picked out 4. I had to snag some of their newer polishes. FeiFei, Feifei, Fifi, however you say it... is really pretty in the bottle. Those yellow particles shift green and pink! These polishes actually came from Sara at My Life in Polish. (And I'm already down one - I bought a Zoya to be given away!) She was also kind enough to track down a bottle of Revlon Sparkle Aplenty, so yay for awesome bloggers helping each other out! Knackered is my first butter LONDON polish, a brand that I hope lives up to the hype! Orly's After Party is just the way I like by blacks: super pigmented but with a little extra something - it's on my nails right now! Hmmm, one is missing! 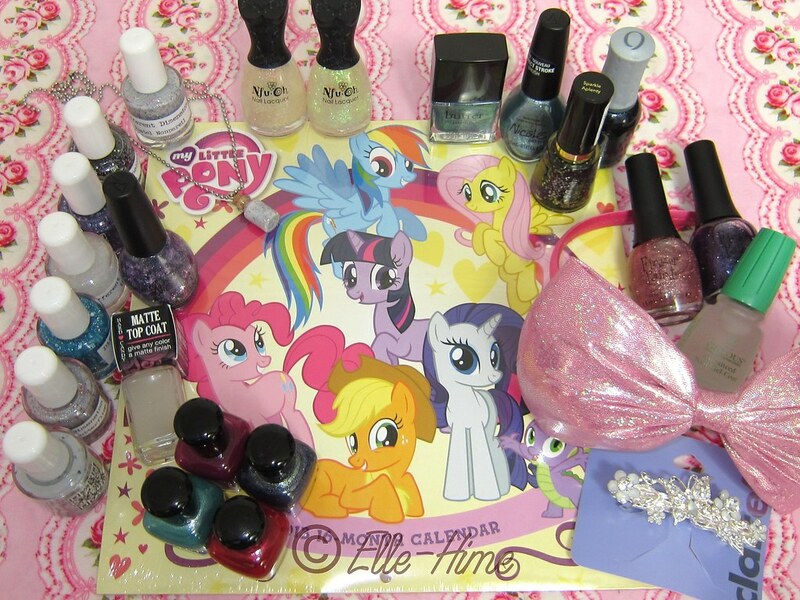 I left out my custom polish because I'm saving it as a surprise after all these are reviewed! I've already shown Rainbows & Butterflies, and the others are just waiting to be posted. I've worn them all and to sum it up simply: absolutely wonderfully awesomely enjoyable nail polish! Really, I'm impressed. You can find Different Dimension polishes on etsy. One thing that I count as being part of this month's, er, last month's! haul was getting my hair touched up! I don't have any good pictures of it yet because I was sick the day of getting it done and proceeded to become less photogenic as the week wore on. Feeling better now, and loving my new lowlights! Thanks for reading~! I love your haul!! An amazing stuff! My favorites things are Zoya's polishes! Do you know the prize? Thank you so much for your kind words! 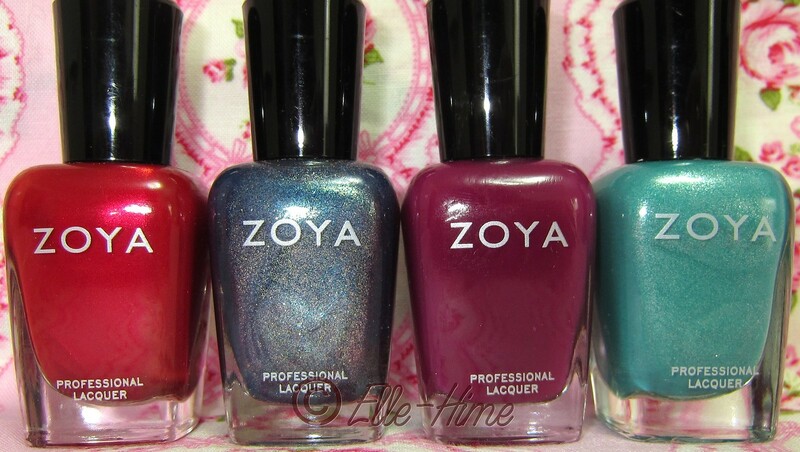 As for the price of Zoya nail polishes, they are usually $8.00 per bottle, but I only ever buy them on sale for less! Sometimes you can find them for less secondhand, as well. From your blog I gather that you are living in Spain? I'm not too sure where you would find them. shouldn't have to spending some time arguing with their student loan servicing company, right.